The Castello di Petroia is located on a soaring hill and is surrounded by defensive walls and the Umbrian mountains. The majestic medieval castle, which overlooks the beautiful Chiascio valley, is located near the historical town of Gubbio and has now been made into a luxurious hotel. The glorious castle can trace its roots to the 9th and 10th centuries and was built to be a fortified base of power, strategically placed on a high hill. The castle complex consists of three different buildings: Castellare Minore, Castellare Maggiore and Torre Mastio. In the year 1257, feudal subordinates rose against Gubbio and then had to hand over their castles to Perugia. The Count of Coccorano, Ugolino, submitted the Castle of Petroia. In the year 1384, Count Antonio da Montefeltro became the Lord of Gubbio. The town’s existence as a free town ended and it was annexed to the Duchy of Urbino, where it remained for several more centuries. Several different families have lived in the castle over the centuries. In the year 1396, Galasso da Montefeltro bought the castle and in 1414 it passed into the hands of Matteo degli Accomandugi di Urbino. 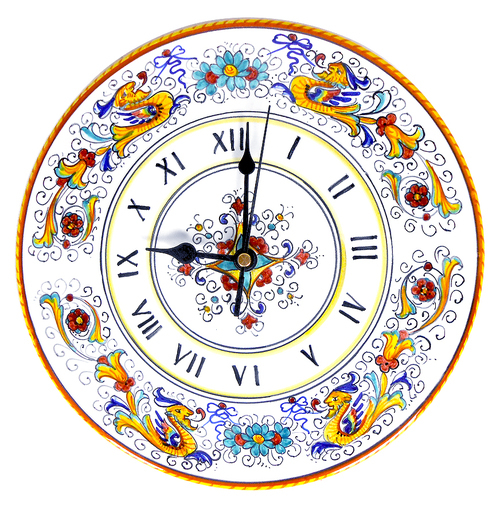 One of the most important dates in the history of the castle is June 7, 1422. On this date Elisabetta degli Accomandugi, the very young daughter of Guidopaolo and the niece of Matteo, gave birth to a son named Federico. Years later Elisabetta’s son would become the Duke of Urbino. In the year 1458 the castle was moved from the possession of the Urbinos to Ugolino dei Bardi. 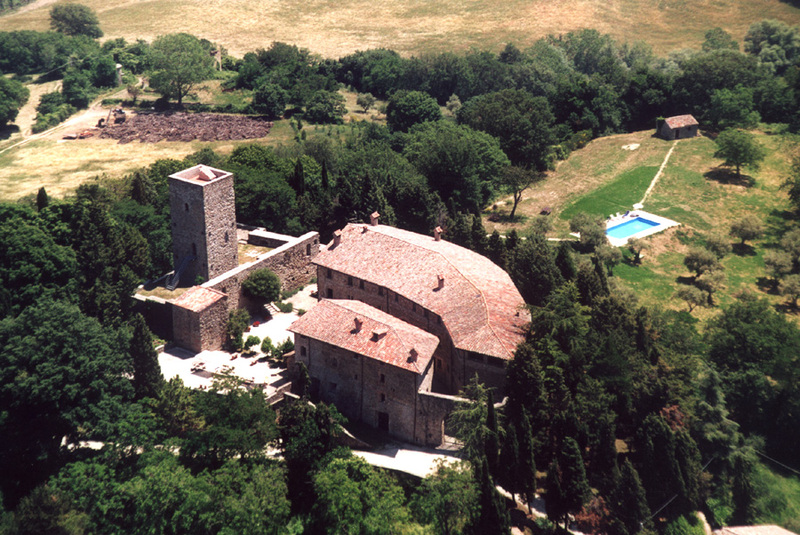 Nearly thirty years later the property was given to Alessandro Reggeri di Canossa by Guidobaldo da Montefeltro. The castle would remain with the family for four generations until 1617 when it was given to Monte di Pietà of Reggio Emilia, a charitable institution, by Camilla di Canossa, who had no heirs. Several decades later the charity sold the castle to the Ugolino family of Gubbio for 6,200 scudi. In 1909 the castle was purchased by David Sagrini. The property now remains in the hands of the same family. The Castello di Petroia today is a luxury historical hotel. 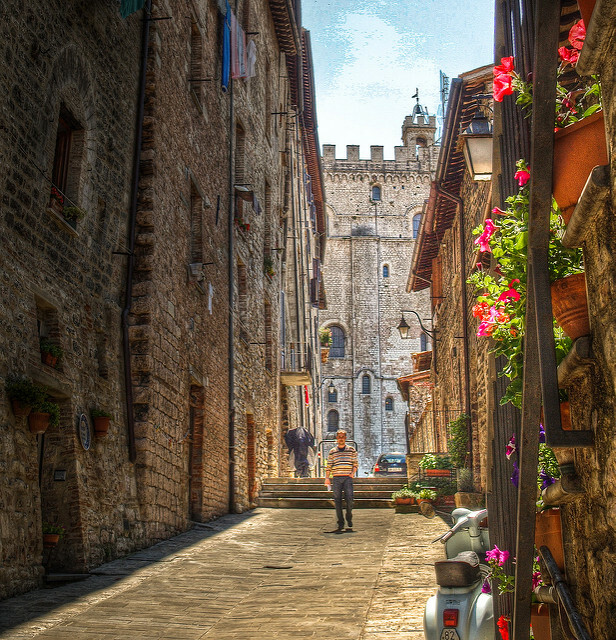 The castle is located right outside the city of Gubbio, which is an ideal location for exploring the surrounding towns in Umbria like Lake Trasimeno, Spello, Assisi, Perugia, Citta di Castello and Umbertide. 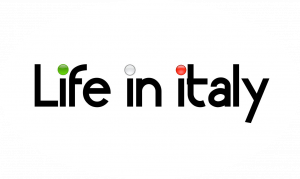 Urbino is also located quite close to the castle and the Adriatic coast and Valdichiana in Tuscany are also within driving distance. The San Edigo airport in Perugia is located only 20 km from the castle and the Raffaello Sanzio airport in Ancona is just 85 km away. The castle today is home to a luxurious hotel which allows the guests to experience living in a real castle. The town of Gubbio is located in the province of Perugia in the region of Umbria. The town is located on the slopes of Mount Ingino, which is a small mountain in the Apennines. 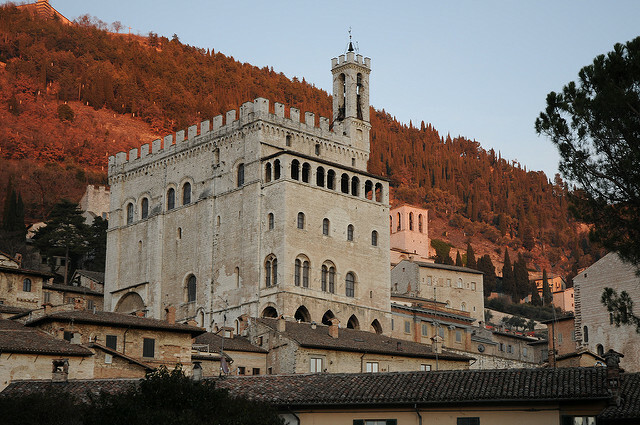 Gubbio is considered to be a historical town and is an important tourist destination because of its number of noteworthy landmarks. The historical center of the town is medieval and its style is quite austere, with buildings generally built in a dark grey stone. The historical center is filled with narrow streets and Gothic architecture. The town’s Roman theater was built in the 1st century BC of square blocks made from local limestone. The theater is still used for lectures in the summer months. The Roman Mausoleum too is worth visiting, as is the large and imposing Palazzo dei Consoli, built in the 14th century and today home to a museum. Two other noteworthy landmarks in the town are its palace and Torre Gabrielle. Gubbio’s cathedral, dedicated to Saint Marian and James Martyrs, was constructed in the 12th century and is most known for its rose window. At the sides of the window can be seen an ox, an angel, a lion and an eagle, which represent Saint Luke, Saint Matthew, Saint Mark and Saint John. The interior of the cathedral has a single nave and the altar features a precious wooden Christ. The Palazzo Ducale was built for Federico da Montefeltro in the year 1470 by either Francesco di Giorgio Martini or Luciano Laurana. The palace is famous for its inner court. Most of the houses in the town are from the 14th and the 15th centuries and were originally the houses of wealthy merchants. If you are visiting Gubbio on May 15th you will be able to experience its annual palio, known as the Corsa dei Ceri. During the race three teams–devoted to Saint Antoino, Saint Giorgio and Saint Ubaldo–run through the town dressed in the colors black, blue and yellow. There are large crowds of visitors and locals who gather to cheer on their favorite teams. The race starts from the main square of Palazzo dei Consoli and finishes at the Basilica of Saint Ubaldo. Every team has to carry a large statue of the saint that they represent, which are mounted on an octagonal wooden prism similar to an hour glass. The entire structure weighs around 280 kilos. More about Gubbio by clicking on the link. The magnificent Castello di Petroia, situated on a soaring hill and surrounded by nature’s glory, is the perfect place to stay while discovering the town of Gubbio and the surrounding area.